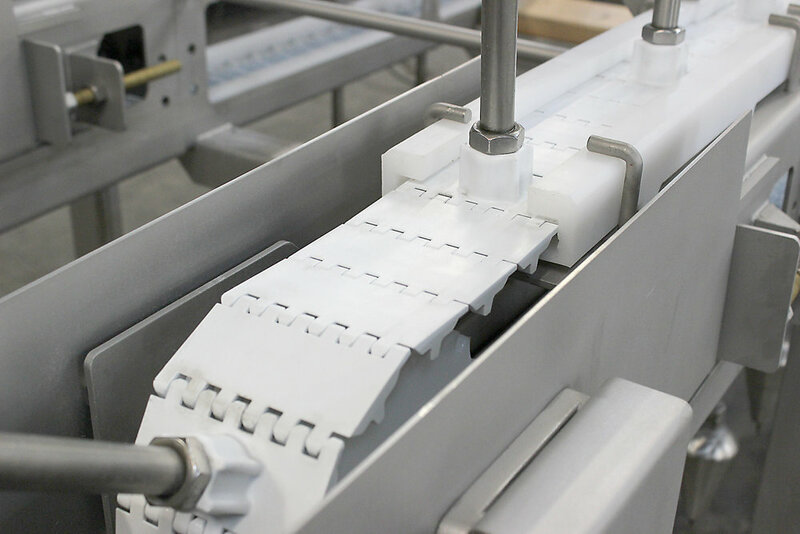 In prior designs, the gap between a traditional coneline and a conveyor could be as much as 3.5”. This causes significant issues as it requires workers to reach that extra distance, and increases the likelihood of product loss. 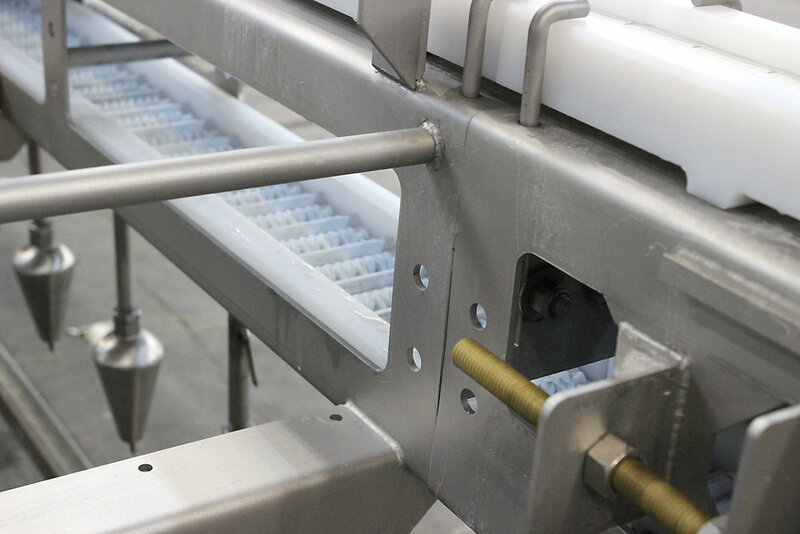 The common frame eliminates the gaps that exist in previous coneline designs reducing time required for equipment sanitation. 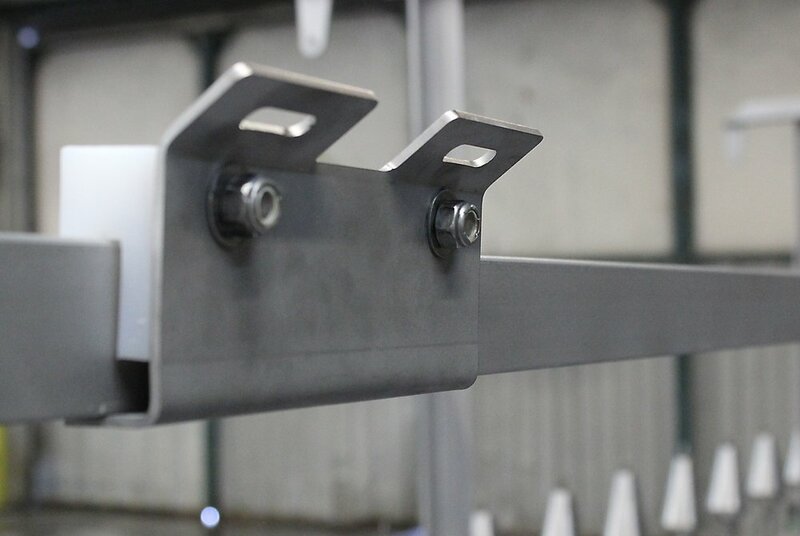 Product belts can be placed outside full length, inside full length or pass through the frame to accommodate required discharge points. All these improvements are made possible by D&F Equipment Sales' Patent Common Frame Design. .
D&F Equipment Sales also co-developed with Intralox a more reliable belt (800 Series Cone Line Belt) to run with this system as opposed to using knuckle chain. 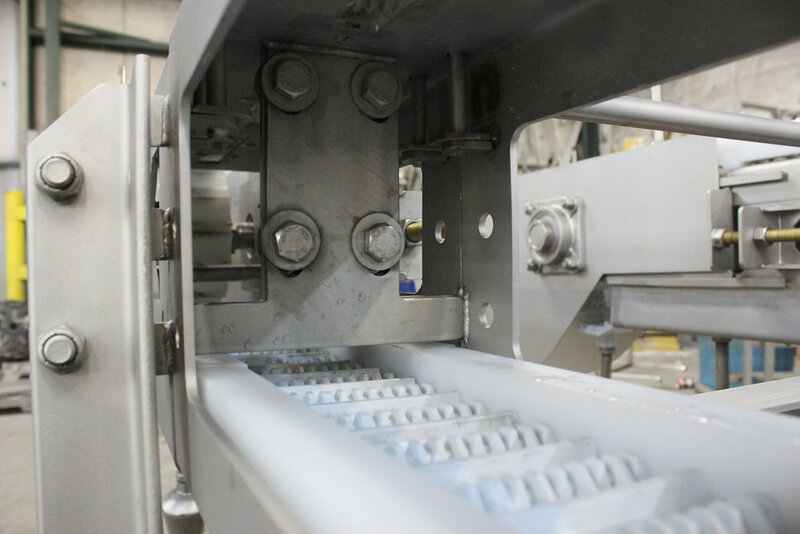 The Intralox 800 Series belt has a smooth, closed upper surface with fully flush edges and recessed rods which aids in employee and food safety.